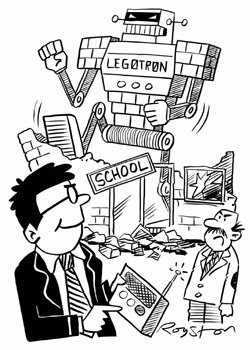 This week's local paper story was about a school holding a competition to build robots out of Lego. An innocuous enough story, but one that allowed me to have some fun. There's more than a little Simpsons and Futurama influence at work here!